What an awesome guitar!! 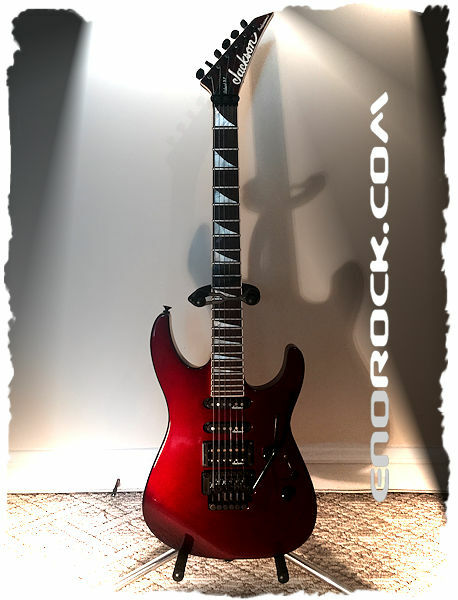 This is Jackson Professional Soloist XL, Made in Japan. This is one of the top of Japanese guitars from that era. The price tag of this Jackson was over $1200 U.S. Dollars back then in early 90's. These are highly sought-after guitars and considered to be as good as the USA built guitars. In fact, production has stopped on these models after about 2 years because they were cutting into US sales too much. They have all the upgrades like Rosewood Fingerboard, Neck Thru Body, Pearl Sharkfin inlays, plus amazing J92C humbucker and 2 singles, J100VS. This guitar sounds and plays really good.